We ask that you complete the Community Events form below and submit for our review. The information provided will allow us to review the details of your event and approve the use of the Suncoast Hospice Foundation | Empath Health name and trademarks. Requests are reviewed on a monthly basis and must be received no later than 60 days in advance of the event. Empath Health reserves the right to refuse the use of the logo and/or name. 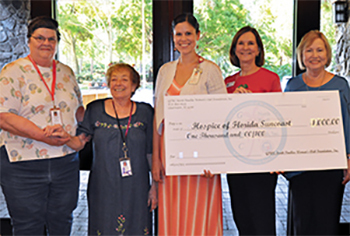 If Suncoast Hospice Foundation is your choice, funds will be distributed where it is needed most. Please share any other pertinent information about your event.